The Johari Window.....fascinating. 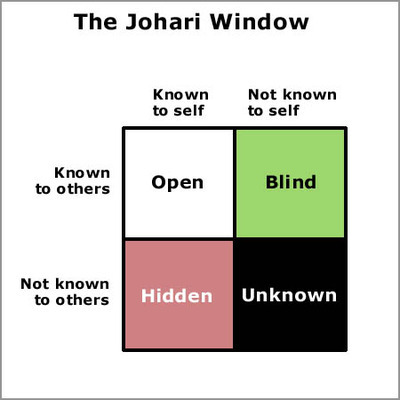 I have loved the idea of the Johari Window since my early days studying communication. 4 quadrants, each one explains what is known/unknown to others and/or to ourselves. One quadrant in particular fascinates me - the "blind" quadrant. The blind quadrant is NOT known to the self, but IT IS known to others. In recent interactions with people, this quadrant has become amazingly obvious, or I guess I should say, seemingly obvious. I assume that there are communicative processes that people are unaware of in themselves (and some more so than others). There are 4 windows included in the Johari Window. 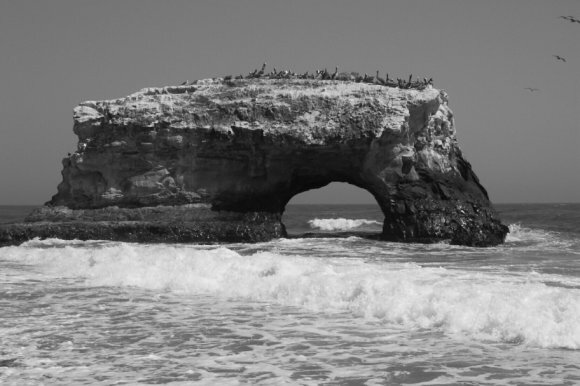 The unknown to self, but known to others is amazingly interesting. What is it about you that other people see that you don't? The is the interesting aspect of this concept is this: If it's know to other people and not to you, then how will these things come into the light and become known to you so you can improve upon them and change them? Feedback from other people right? But are people really receptive to hearing things like - "you know, you make things about YOU quite a bit even when they clearly aren't", or "you come off really mean sometimes", or "you talk way too much and need to tone it down a little", or "you tend to police social situations which makes people not want to be around you", or "you interject ridiculous things into conversations which highlights your immaturity, do you realize that?". Of course these are very harsh ways of saying these things, and for those TM alumni out there who read this, would never ever fly in a 'care enough to confront' situation. But really, do you tell people these things or hope and pray that they figure them out on their own, which most people don't without repeated negative interactions? What do you do? Or is it even your responsibility to say anything even though someones communicative behavior obviously violates every unspoken, or spoken for that matter, social rule that exists? I come into contact with different groups of students every 7 weeks or so right now because I teach fast track classes and come across A LOT of different personalities. I am constantly analyzing people - and I have quite a bit of time to do that since I drive an hour each way to teach on a normal basis. And to tell you the truth, the analysis goes way beyond my students. I sit back and observe people constantly, and interestingly enough, the Johari Window has been crossing my mind quite a bit. Are particular things people do and say obvious to them? Or are things people do, say and act upon simply blind to them? Or, let's go even further, was it acceptable in your family? And is that particular thing not acceptable in other situations? What is blind to you that others can see? 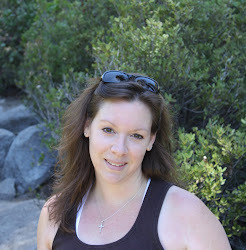 This is part of my quest - what is blind to me that others can see? I can assume, I can guess, I can try and learn from others reactions - but will I ever really know unless someone confirms it?